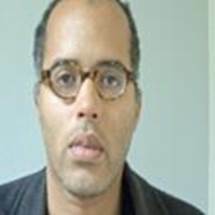 A man has been jailed for ten months after failing to provide a password to police investigating allegations concerning on-line images of child abuse. Damion Bagalue, 42, pleaded guilty at Preston Crown Court to one charge under the Regulation of Investigatory Powers Act. Officers from Lancashire Constabulary’s On-line Child Abuse Investigation Team (OCAIT) executed a search warrant at Bagalue’s home address in Lonsdale Road in Blackpool in December 2016 after they received information about suspicious on-line activity. Bagalue was arrested and a number of internet enabled devices were seized and later found to be password protected. Bagalue repeatedly refused to co-operate or provide these passwords and was charged with the RIPA offence. In addition to the jail sentence he was also given a five year sexual harm prevention order, a forfeiture and destruction order for all his devices was also ordered by the court. Police forces have the power to demand password to access media devices like mobile phones and laptop computers. Refusal to comply with a notice served under s49 of RIPA can result in a maximum sentence of two years imprisonment, or five years in cases involving national security or child indecency.